Product prices and availability are accurate as of 2019-04-11 02:04:27 EDT and are subject to change. Any price and availability information displayed on http://www.amazon.com/ at the time of purchase will apply to the purchase of this product. 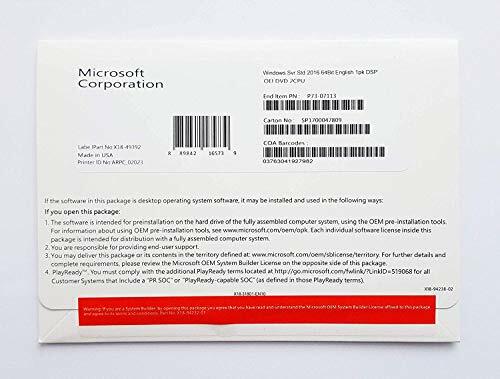 Microsoft OEM Windows Server 2016 Standard 64-Bit 16 Core DVD 1 Pack. Windows Server 2016 brings cloud-ready and hybrid-cloud capabilities to the data centre, giving customers the platform they need to gain maintain competitive advantage and drive business value. Improvements to management capabilities, networking, storage and security options give customers the added flexibility they need to meet ever-changing business requirements. Additional platform features, such as Windows Server Containers and Hyper-V Containers increase application, speed, agility and further bolster security. Nano Server is a new minimal-footprint OS deployment option, which is a more efficient data centre host and also the perfect lightweight OS for native cloud applications. Some new features unique to Datacentre Edition include an Azure-optimized networking stack, storage enhancements such as Storage Spaces Direct and Storage replica and Shielded Virtual Machines. 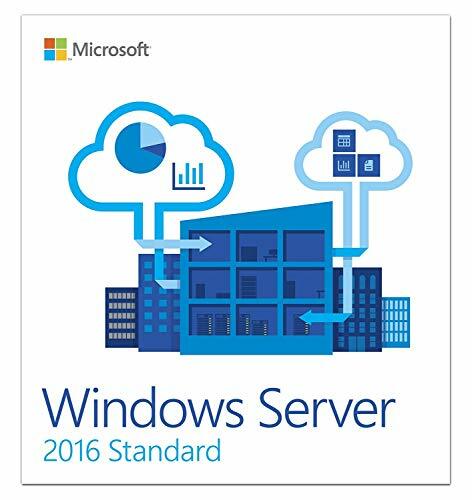 The Standard Edition will continue to provide the core functionality of Windows Server, including up to two instances of Hyper-V or Hyper-V Containers (for unlimited VMs and Hyper-V Containers, customers will require Datacentre). Both, Standard and Datacentre Editions include unlimited Windows Server Containers.